MAKE ASSESSMENTS, CELEBRATE ACHIeVEMENT AND DELIGHT PARENTS – IN SECONDS. What experts say Which type of school? What is your Role? Open the app. Take photos or video. Tag these with the names of relevant pupils, and subjects, Add a commentary, if you wish, and you’re done. You have created a record which goes into individual timelines for each teacher, class, subject, activity group, team, child – you choose exactly what you want to see. The timeline presentation means that your teaching evidence is always organised, elegantly presented, and ready to be shared effortlessly with colleagues, authorities and parents. You can capture a moment of achievement using any camera or by scanning a document, but the easiest way is using a tablet or phone and the Earwig app. To see how easy this is, check out the video. To turn this into a record, add a short comment, tag the image with the subject and relevant pupils from the dropdowns and, bingo! You’re done. It generally takes 10 to 20 seconds, depending on how long your commentary is, but the important thing is that then you can forget it. No more going back to stick photos into books or annotate them. There is even a special widget to enable you to create a whole classful of individual records in one go. To bring up a timeline of all the relevant records, for whatever period, just go to the Timeline Filter and choose what you want to look at, or show. A couple of clicks and there it is. Vivid, brilliant, relevant, current. You can save this as a PDF and print it if you wish. Couldn’t be easier or quicker. Leaves more time for teaching. Each school can create its own list of tags to ensure that timelines reflect their priorities. Subject heads can track achievement in their subject across classes and Heads can get a birds-eye view of progress across the school, compare one year with another and select records that establish standards across the school. Cluster moderators can see how different schools to encourage best practice. It also means that you are ready for that ‘no-notice’ Ofsted inspection, whenever it may happen. Serious stress relief! While everyone subscribes to the idea of increasing engagement with parents, it’s actually a difficult and time consuming activity for teachers. When your school runs Earwig, this happens automatically. Parents can log in to see what their child did today and discuss this while it is fresh in their child’s mind. Children are more motivated. They perform better and Ofsted, of course, love it. Everybody wins. Because it deals with images of children, safeguarding is always central to the way that Earwig operates. All data is encrypted and each school’s content is confined to approved users. Each user can only access the information which is relevant to them. For example, parents can only see records relating to their own children. Looked after children are dealt with automatically and parents can ask to have their children excluded from the process. The task of capturing teaching evidence and making assessments against the EYFS Framework objectives means that teaching evidence management and presentation is more onerous at this time than at any other school stage. So a neat solution which enables teachers and TAs to create records and tag them with EYFS statements or outcomes, in seconds, view evidence, easily and record assessments with a click, saves huge amounts of time (and stress). Producing full analytical reports and beautiful learning journeys just by hitting ‘Print’ or ‘Save’ makes the whole thing a pleasure, rather than a chore and removes all the ‘am I Ofsted ready?’ stress. In the ‘post Levels’ environment there are dozens of different assessment options for schools to choose from. Whichever one you are using, the task of making the individual assessments, tying specific teaching evidence to these, analysing and benchmarking the results and presenting them elegantly, remains extremely time consuming. In addition, Heads and leaders are having to deal with the fact that the goalposts continue to move and the testing and assessment instructions emanating from the DfE are constantly changing. Earwig provides a process which will work with ANY PRIMARY ASSESSMENT FRAMEWORK and flexes to deal with evolving demands to take all the drudge out of assessment, make life easier for teaching staff to make assessments, verify these with evidence, analyse the results and present brilliant reports with a few clicks. The SLT get a clear overview across the school and can benchmark performance against others using the same assessment regime and can rest assured that you are always on top of things and ready for that Ofsted call. An added benefit is that the task of producing end of term or end of year reports now takes minutes, rather than hours. To get a clearer view of how the Earwig Primary Assessment Module works and learn how exactly it cuts staff time and improves tracking and reporting, go to our assessment page. The variety of types and levels of SEN which schools have to deal with is huge. This makes any type of standardised progress measurement extremely difficult. In past years, assessment frameworks for special needs have tried to deal with this by creating large structures like P-Scales to try and cover as many bases as possible. However the recent Rochford Review of SEN assessment for the DfE has recommended that P-Scales, PIVATS and similar frameworks just aren’t flexible enough to measure progress effectively. What is needed, it was decided, was some way to take a standard set of progress measurement criteria and apply these to a curriculum that is created specifically for a selected group of pupils, or even for a single child. Earwig’s SEN assessment can accommodate ANY of the conventional assessment structures that you are now using, allows you to add others, all in the same umbrella software package and also allows teachers to edit each framework to fit the situation. 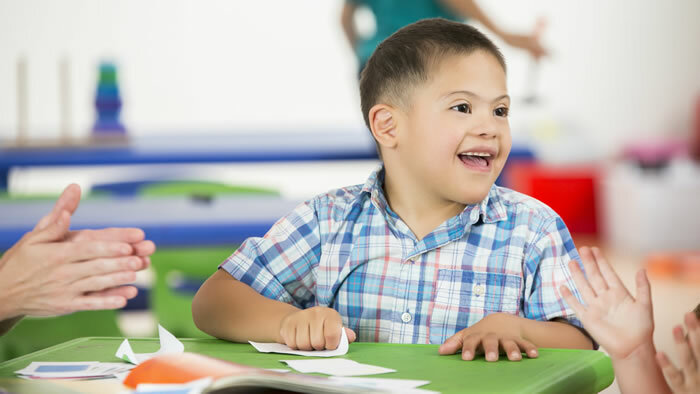 this allows schools to create individual targets for each child, so that the progress objectives and measurements are appropriate for any type of level of disability. So whether you’re a special school or mainstream, your SEN pupils can be assessed according to their potential, based on their individual EHC Plan objectives. Alex Rayner, Headteacher, Gibside School, Gateshead. What experts say Parents & Governors What is your Role? The Portfolio Module is designed to bring all the visual brilliance of Earwig to the education of pupils beyond primary, all the way up to university. It puts the collection of evidence of achievement into the hands of the achievers themselves. Each student uses the Earwig app to record projects, tests and assignments and present these as a portfolio, in the form of an Earwig timeline. Teachers add their input through chatboxes attached to each record, to demonstrate the effect of their intermediation and can use a series of linked Earwig records to follow the progress of individual projects over time. Each pupil’s timeline is moderated by a tutor who can then provide vivid reports and presentations of work with minimal workload, as can subject teachers and subject heads. The Portfolio module can also be used for tracking work and recording achievement in a variety of other educational situations. These include language schools, universities, teacher training and providing a permanent record of progress made by looked-after children for local authorities. Security is important at Earwig. So all content is, by default, kept within each school’s closed user group and only accessible to approved people, each of whom can only see relevant records and commentary. However, some of this content will usually be suitable for sharing with a wider audience or in a less confined environment. Most schools have a website and a blog. Keeping this fresh and interesting can be another time consuming task for school staff. The Earwig school presentation module allows the school blog editor to receive a regular feed of images, video and stories to help them refresh the blog content quickly easily and vividly. You can even sync your content with social media.